Christians and Jews - blood brothers or separated brethren? Israel - political accident or covenant people? And where does the Church fit in? A 10 session course (40 mins each) showing the connection between Judaism & Christianity, Israel and the Church. This popular course has now been completely revised and updated. Comes as a boxed set of 5 DVD’s, complete with Leader’s Guide and one copy of the Student Guide. 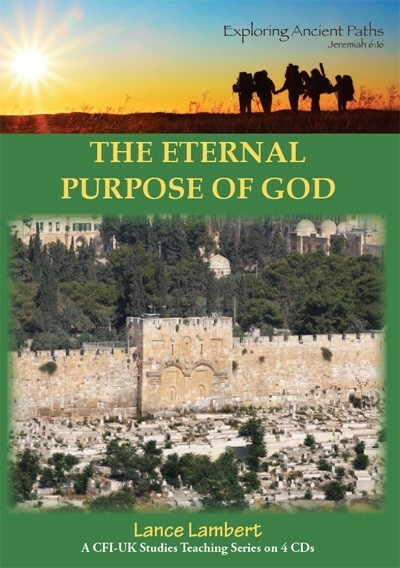 Also includes ten 10-20 minute studies on Hebrew words ( Kesher, Yeshua, Mashiach, Torah, YHVH, Halleluyah, Chesed, Kadosh, Shalom, Amen ) to enrich our understanding of the Bible. 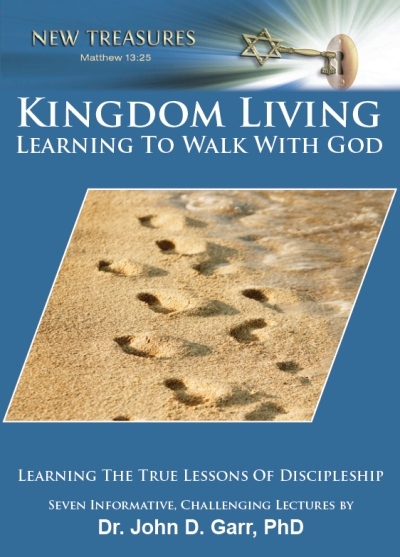 Recommended for churches and Christian groups as a study course. Alternatively, you can watch the entire course online here or just the Hebrew word studies here. The first three sessions of the Kesher course focus on Jesus of Nazareth. We know he was a Jewish man living in Israel, but why is that important? Firstly we look first at the genealogy of Jesus, demonstrating that he met all the ancestral requirements to be the expected Messiah. 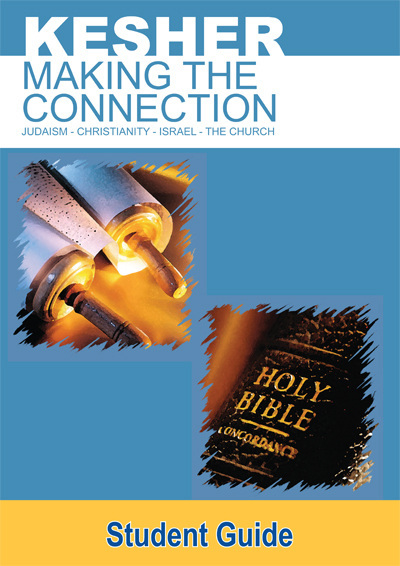 We then consider the Covenant of Circumcision and the Jewish lifestyle that Jesus led. This provides us with a good foundation for the remainder of the course. 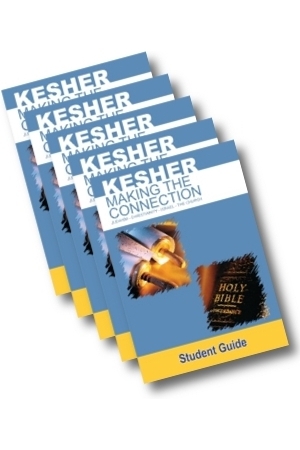 Our Hebrew Word Study associated with this session gives a basic overview of the Hebrew language and then looks briefly at our course title: KESHER. Many people from different walks of life referred to Jesus as "Rabbi". But what was a rabbi at that time, and how did Jesus fit the role? As well as answering this question, we consider the way a rabbi’s disciples related to their leader. 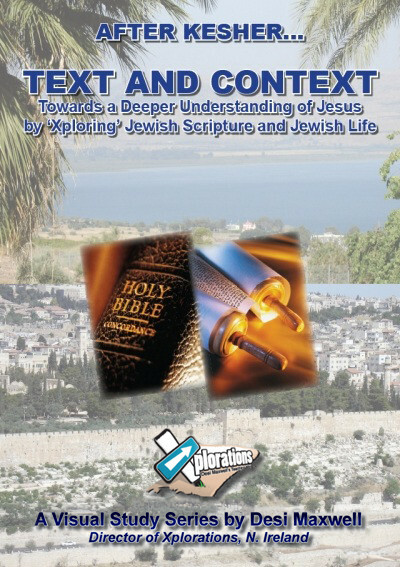 We also study some of the ways in which Rabbi Jesus taught, particularly His use of parables. Many rabbis taught in parables, but Jesus was the master story-teller! Our Hebrew Word Study for this session is YESHUA, the Hebrew name for the Person we know as Jesus. Having established Jesus as a Rabbi in His Jewish world, we now consider His claims to be the Messiah. How old was He when He made His first claim to be the Messiah? Was He the kind of Messiah that the Jewish people were expecting at that time? And what about the Christian understanding that He is the Son of God and God the Son? Did Jesus actually claim to be God on earth? These and similar questions are explored in this third session to focus on Jesus of Nazareth. In our Hebrew Word Study we look at the word MASHIACH, which has been transliterated into English as Messiah, and translated (via the Greek) as Christ. In Sessions 4 & 5 we study the written word of God, the Bible. After a brief look at the Older Testament (the TANAKH), we consider some of the many Hebraisms that there are in the Newer Testament, showing that much of it exhibits a Hebrew thought pattern, though our earliest sources are written in Greek. We also look at one particular way in which Jesus taught by quoting from the TANAKH using the technique of allusion, and how some Jewish traditions have been incorporated into the Newer Testament. Our Hebrew Word Study is on the word TORAH, the collective term for the first five books of the Bible. The title are the words of Jesus to the woman at the well in Samaria, as recorded in John chapter 4. After looking at this scripture we concentrate on the eight gifts that God has given to the Jewish people, as explained in Romans 9:1-5. We then explore how we, as Gentile Christians, have a share in these gifts, as branches grafted in to the Jewish olive tree (Romans 11). Our Hebrew Word Study is on the personal Name of God, usually written in English as YHWH, and how we get the word Jehovah from the Hebrew. Whereas our first five sessions are all Scripture-based, we now take a historical interlude to understand what happened immediately after Bible times. 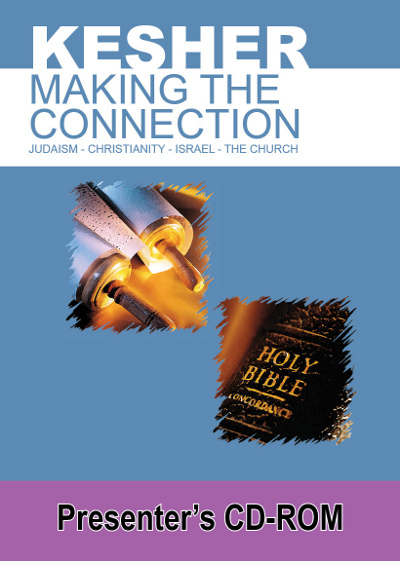 We explore how and why the church and synagogue split apart by looking at early church history. We look at some of the teachings of the early church leaders, and how the erroneous doctrine of Replacement Theology began - the false notion that the church has somehow replaced the Jews as the chosen people of God. In contrast, our Word Study looks at one of the Hebrew words we commonly use in our churches today - HALLELUYAH! We look at the sad history of anti-Semitism over the last 2,000 years. Although now this hatred is largely apparent from Islamic sources, the church has been at the forefront of this persecution for most of its history. We look at its origins with the early church leaders, the Blood Libels of the Middle Ages, and the expulsions of Jews from various countries. Martin Luther, the great Christian reformer, also became very anti-Semitic, and it was his teachings that provided the theological basis for the Holocaust. Instead of hatred, the church should have been demonstrating love towards the Jewish people, and we study the Hebrew word CHESED to discover more about this loving-kindness. 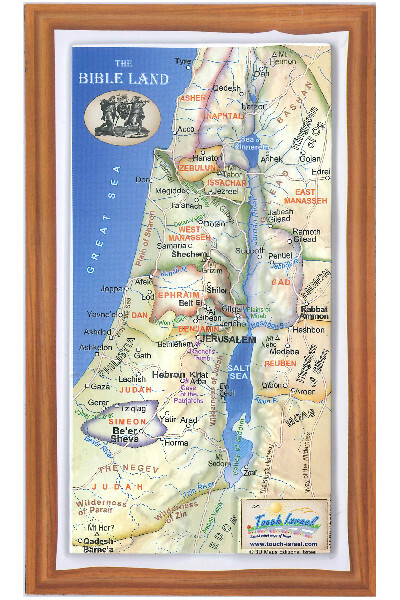 We continue our historical interlude by looking at the Restoration and Rebirth of Israel. After a brief survey of the land of Israel since the expulsion of the Jews in 135, we concentrate on the time since the mid-19th century, when the Jewish people started returning to their land in large numbers. We look at Theodor Herzl, the Balfour Declaration, and how Britain was given the Mandate by the League of Nations to establish a homeland for the Jewish people in what was then called Palestine. We then look at Israel’s Independence, concluding with the Six Day War of 1967. Our Hebrew Word Study looks at the word QADOSH, meaning Holy. For this session we return to the Bible to see how what has happened in history has been fulfilling many prophetic passages from the Word of God. Several prophets in the TANAKH speak of a second return from exile for the Jewish people, seeing them returning to their land from the four corners of the earth. We look at how these scriptures have been fulfilled, and are still being fulfilled, in our day. The usual greeting in the reconstituted state of Israel is SHALOM, normally translated as ’peace’. Our Word Study shows that the Hebrew word is far richer than that, enabling us to see deeper meaning in many Biblical passages. In our final session we bring the story closer to the present day situation in the Middle East, including more recent wars. We also look at the Peace Agreements made between Israel and two of her neighbours, Egypt and Jordan, and the negotiations with the Palestinian Arabs. Finally, we go back to scripture to see what the future holds for Israel and the Jewish people. Fittingly, our final Hebrew Word Study looks at AMEN, a word we commonly use to conclude our prayers, perhaps without realising its depth of meaning. Further copies of the Student Guide are available here or at a discounted price for 5 or more copies here - additional postage costs apply for non-UK orders. Please note that we cannot advise individuals about whether you will be able to play these DVDs. You are advised to check you current DVDs to find out what format they are in, or contact any local DVD supplier for more information. Please note that we can not issue a refund if you order these DVDs and you can not play them. Roy Thurley was Director of Christian Friends of Israel (UK) from 2000-2007 and is now the Area Representative for North Wales. He served previously as a member of the Board of CFI Charitable Trust. John Smith served previously as Director of the Centre for Biblical and Hebraic Studies, before which he spent six years working with Christian Friends of Israel UK. He holds a BA Degree in Hebrew and Jewish History from the University of London (1993). He has a passion for Hebrew and believes that Hebrew is for the benefit and enjoyment of all Christians. As Jews in the past have suffered great persecution in the name of Christ, we seek to show them real friendship and love in His name.